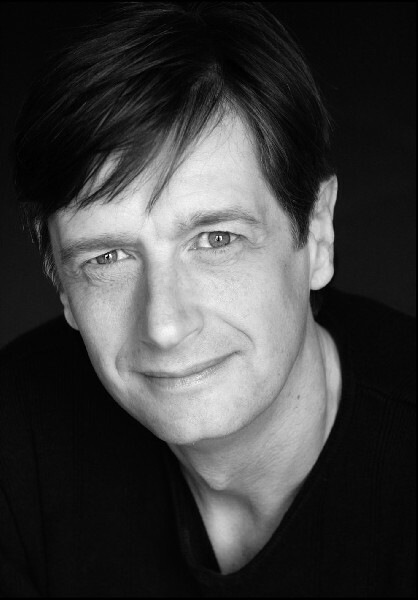 Actor Ken Cheeseman who plays Abraham Lincoln and several other roles in the play. 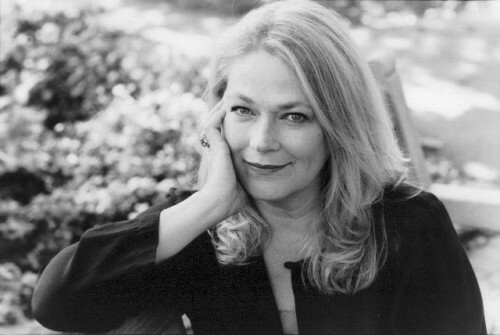 Karen MacDonald who plays Mary Todd Lincoln and other roles in the play. The Civil War is arguably the worst four years of our country's existence. It was the first masterfully documented conflict. Matthew Brady photographed its destruction in touching and often horrific ways. We therefore know what the war looked like. We have been taught about its main characters and even some of the supporting players. History tells us about the great and bad politicians and generals, the passions of both sides and the cruelty of the conflict. The prejudices and hatred that led to the war have been taught to us. However, the humanity of the individuals involved have never been totally drawn. 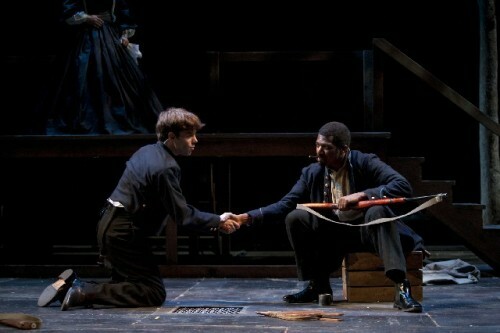 Paula Vogel has written A Civil War Christmas to dramatize this. 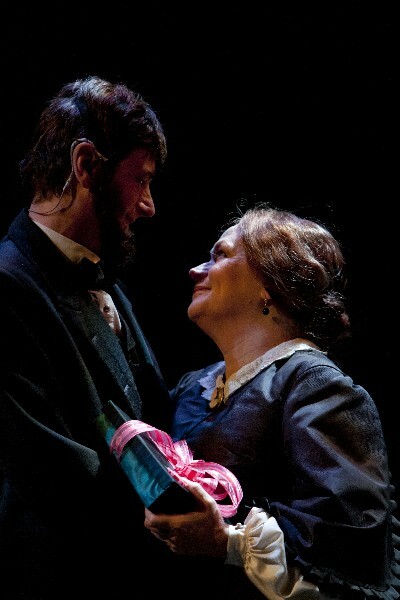 Complex story lines and multiple roles for a variety of actors weave A Civil War Christmas into a moving and uplifting tapestry of light and shadow, with varying degrees of good, the not so good, and the preciousness of love and life. 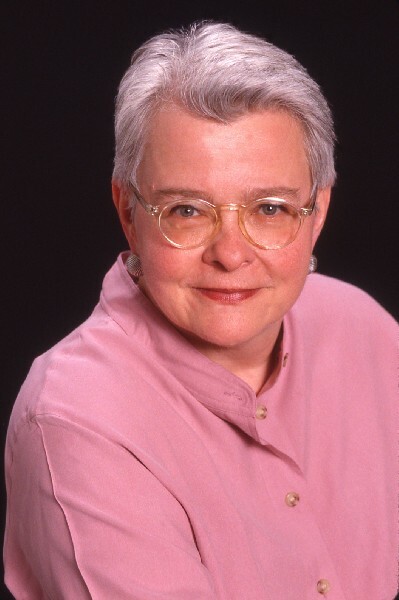 Pulitzer Prize winning playwright Paula Vogel has attempted to celebrate in words and music the bittersweet, difficult time of the last Christmas of the Civil War, December 1864. 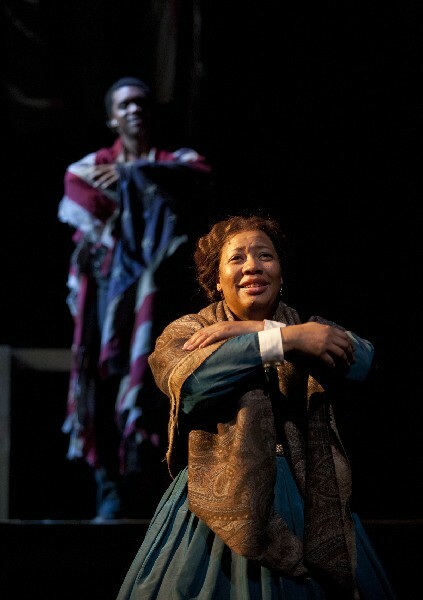 Set in and around, Washington, D.C., the many threads of stories are often poignant and colorful, exposing at times the rawness and subtle humanity of a country torn apart yet somehow still very connected. The Christmas setting gives another sensitive layer to the Civil War conflict. The clearly portrayed humanity of A Civil War Christmas is its outstanding feature. Each character has a reality in the way they are drawn and acted. This is underscored by the beautifully integrated music and the at times prose poetry actors' lines. The voices, both musical and spoken, are superb. The acting is excellent, the staging is choreographic and the sets as well as the lighting are visually creative in a minimalist way. Actors are called on to portray many characters, old and young, male and female, black and white. 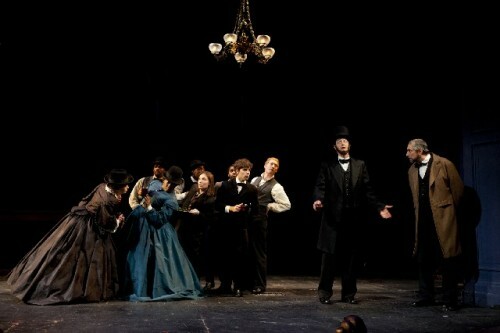 Yet, it does not really matter as the play is about the individuals' humanity. Director Jessica Thebus has got it right. The rhythms of the show work. Timing is impeccable. The only problem with the production is its shear complexity. Trying to create a story that is epic and humanistic at the same time is a daunting task that the playwright has set out for herself. Several story lines seem to be at times too complicated. This complexity causes the production to go on perhaps 20 to 25 minutes too long. Paula Vogel has a lot to say. And she generally says it very well. However, what she is saying could be accomplished with fewer story threads as well as fewer characters and still have produced the same or even a stronger effect. This reminds me of one of my old history professors who was so knowledgeable that he often could not make his point due to the denseness of his class presentation. Less would have been more here as well. That said, there are ample reasons that this show should be seen by people of all ages. The music is beautifully integrated into the storyline. This is not musical theatre but theatre with music. Daryl Waters has creatively supervised, arranged, and orchestrated the music so that it is not separated from the narrative. Each actor sings well. It brilliantly enhances the theatrical experience. As a community outreach, local choirs and choruses have been asked by The Huntington to share in this Christmas celebration by singing a half an hour before each performance. What a wonderful way to connect with Boston's neighborhoods! From leading roles to the smallest ones, the actors are superb. Special mention should go to the cast as an ensemble. The whole here is greater than the sum of its parts. Each role is played in complete character and in an individual way while adding to the story. The versatility of Ken Cheeseman who plays Abraham Lincoln, Walt Whitman and even a reluctant horse is outstanding. Others including Ed Hoopman, Chris Bannow, Molly Schreiber and Stephen Russell all seamlessly go from one character to another throughout the show. They each translate their characters' words into cadences of believability. Special mention should be made of Jacqui Parker's performance. She brings a presence and a passion to her role as Elizabeth Beckley. Her characterization is earnest and appealing. 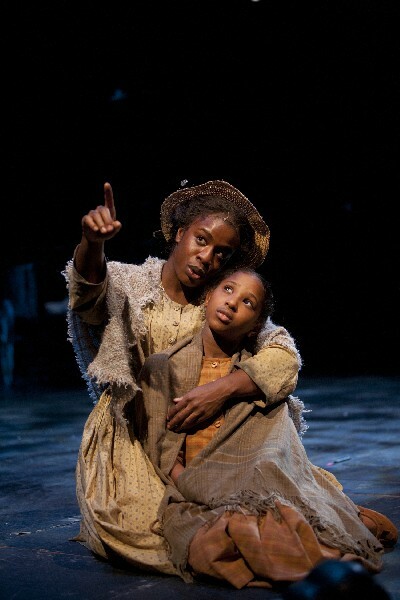 Her mother portrayal has an echo to today's parents in wartime. Gilbert Glen Brown's Decatur Bronson is especially powerful. His performance embraces the painful internal and external turmoil of the devastated, heroic, soldier/blacksmith newly freed man. Karen MacDonald is a theatrical treasure of New England. 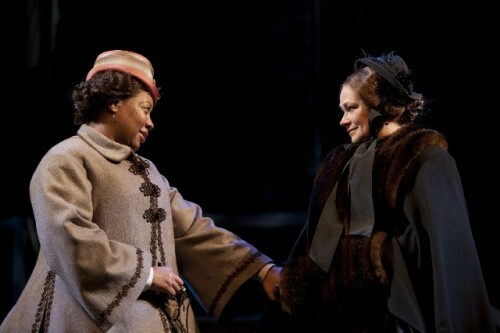 She gives a regal performance as Mary Todd Lincoln. She smoothly expresses the character's flaws and foibles in her sympathetic characterization of a complicated but well-referenced historical woman. The skill and creative qualities that MacDonald shows in this portrayal are a pleasure to behold. Her performance is a distinctive and distinguished Christmas gift to the audience. 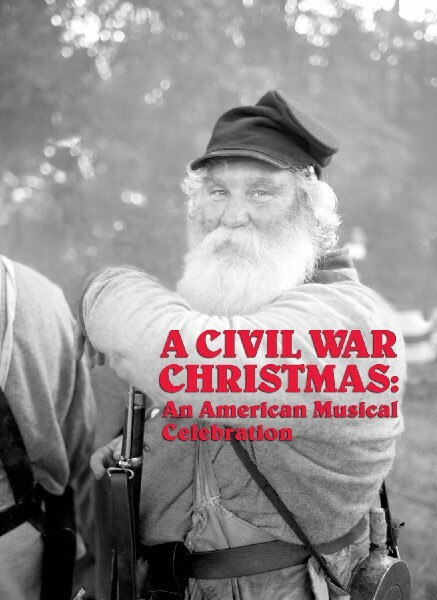 A Civil War Christmas is not a holiday confection like many seasonal productions. Instead it is a Yuletide feast that should be shared by the whole family.